The infusion center I work at teaches and uses the push/pause method for flushing CVADs.Â We have taught this method to inpatient nurses, students and home care patients.Â Is there any new information to support or negate this practice since this topic was last visited around 18 months ago? Marcia Ryder discussed this in a part of her presentation. She presented information from studies that when they drew blood back into a line and then had them flushed three different ways,( three different groups) one flushing with 10 ml normal saline push, other with 10ml normal saline in push pause, then other with fluid running . Then they tested to see how much of a return of the blood protiens and products they got back ( say in the blood stream versus staying in the catheter) after flushing those different ways.,. they felt that they had 97% return of blood products when doing the push pause technique, so.......she recommended the push pause technique as a better flushing method to clear a line after blood draws or any instillation of meds. I am sure I am not quoting it exactly correct but that was the jist of it. 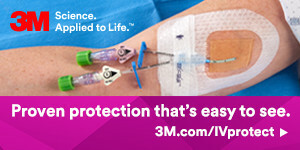 I too wondered, what if this pushes some of the biofilm off of the internal lumen of catheter or hub. But we also know the biofilm will continue to allow the microorganisms to grow, replicate them selves and then be released into the system even if we didnt push them off the wall. I believe what she was saying is if we do push pause flushing from teh start we can help reduce the amoutn of blood that we leave to coat the inner lumen of a line and therefore reduce bacterial etc....growth.